The Value-Added Producer Grants program is another of the USDA’s competitive grants available to beginning farmers. These grants are reserved for farmers that produce a value-added product such as wine, jams or grass-fed beef. Although, the program has since expanded to cover local marketing and labeling campaigns, as well as some on-farm renewable energy projects. 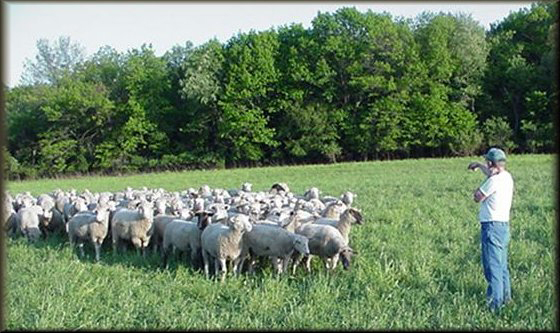 In 2005, Steve and Darlene Pinnow of Pinn-Oak Ridge Farm received a $150,000 grant to direct-market their pasture-raised lamb. With that help, they expanded their business to 60 retailers in Wisconsin and Illinois, and the business continues to thrive today. Pinn-Oak Ridge Farms, of Delavan, WI, which received a VAPG grant to develop its direct-marketing systems. The program is currently closed, but may reopen for the next fiscal year, depending on the upcoming Farm Bill process. The USDA estimated $14 million in funding for the 2012 fiscal year. Typically, the USDA begins accepting applications in the summer, with a final deadline in mid-October, for grants that will be awarded the following January. The program was first introduced in the 2000 Farm Bill, and then expanded in 2002 and 2008 to include more products and activities. Grants are either given to either develop business plans and conduct a feasibility study, or to acquire working capital for a project. The applicant must match the grant funds in cash or with in-kind contributions, and invest this money first before receiving the grant money. If you are beginning a new venture, a feasibility study and business plan is probably the best place to start, as applications for working-capital grants generally require that you submit this research anyway. As with many grants, working capital awards can’t be used to repair or construct a building or facility, or to rent or purchase fixed equipment. The USDA caps grants awards at $100,000 for planning and $300,000 for working-capital projects, respectively. The good news for beginning farmers is that no matter how much grant funding is allocated from year to year, as a young farmer it is important to keep in mind that 10 percent of the total funding is set aside for beginning or socially-disadvantaged farmers. The first step of applying begins with reaching out to the USDA’s Rural Development offices. For more information on the grant program, contact the USDA’s rural development branch in your state or look out for the USDA to post a “Notice of Funding Availability” (NOFA) and call for applications. The National Sustainable Agriculture Coalition’s summary of the program includes some brief descriptions of past grant projects to get the ideas flowing. Finally, the USDA also offers an online eligibility assessment tool here.